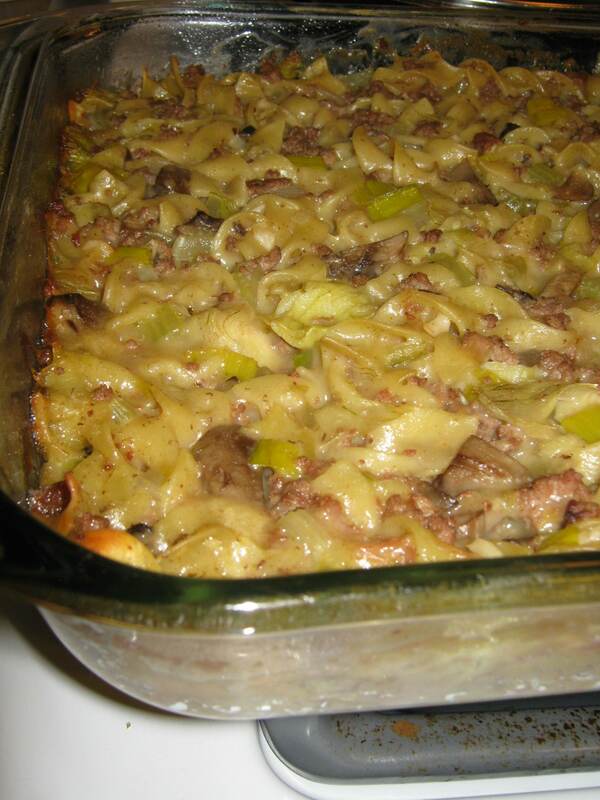 This dish is so creamy and flavorful that it’s more like a rich pasta dish than a casserole. My original recipe did not call for any of the “optional” vegetables listed, but my husband complained that it was lacking any vegetables. So the next time I made it, I loaded it up with vegetables, more as a joke to prove that it really was just fine before. The joke was on me, however, because they made this delicious dish even better – and better for you! Use as many of the optional vegetables listed, or experiment and add some of your own. Preheat oven to 350 F and lightly spray a 9 x 13 baking dish with cooking spray. 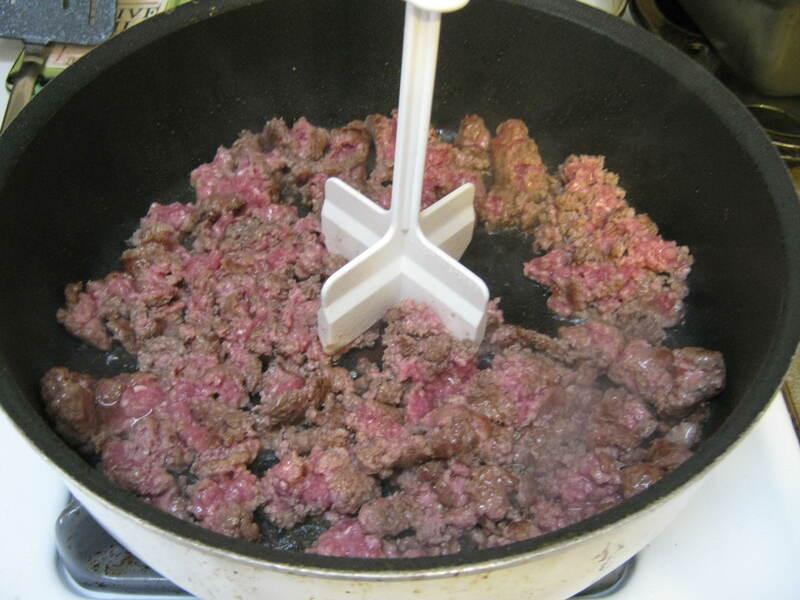 In a large pan (or Dutch oven), brown the ground beef over medium-high heat. 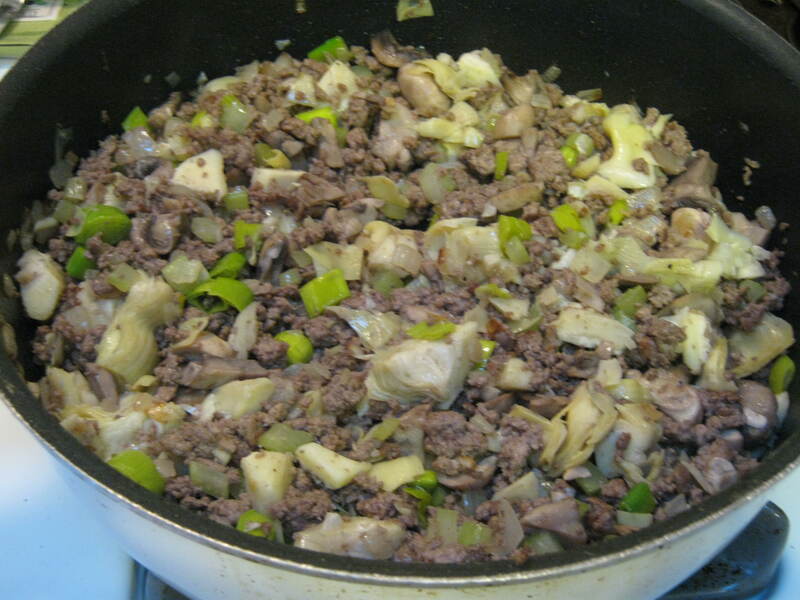 Add the onion, celery, and garlic (and any other vegetables) and cook until softened. Add salt and pepper to taste. Mix soups and milk together in a large bowl. 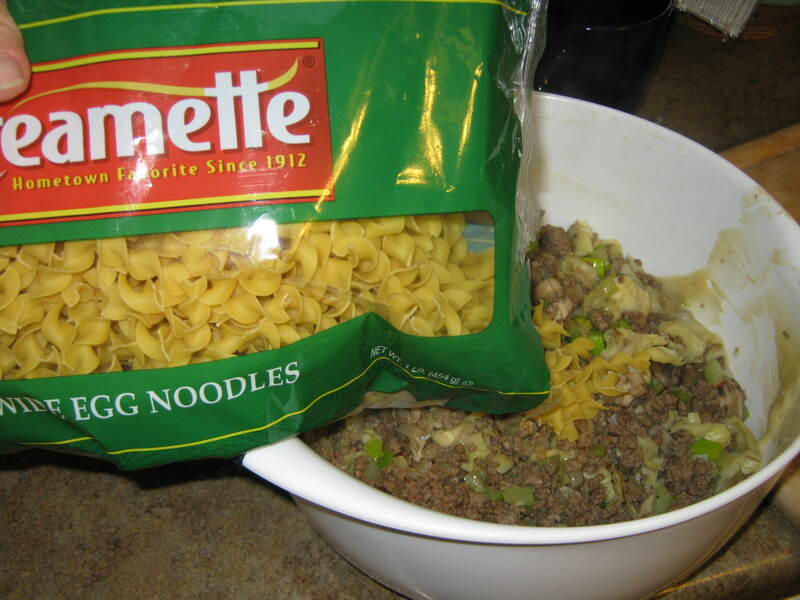 Add the ground beef mixture and the uncooked egg noodles to the bowl. 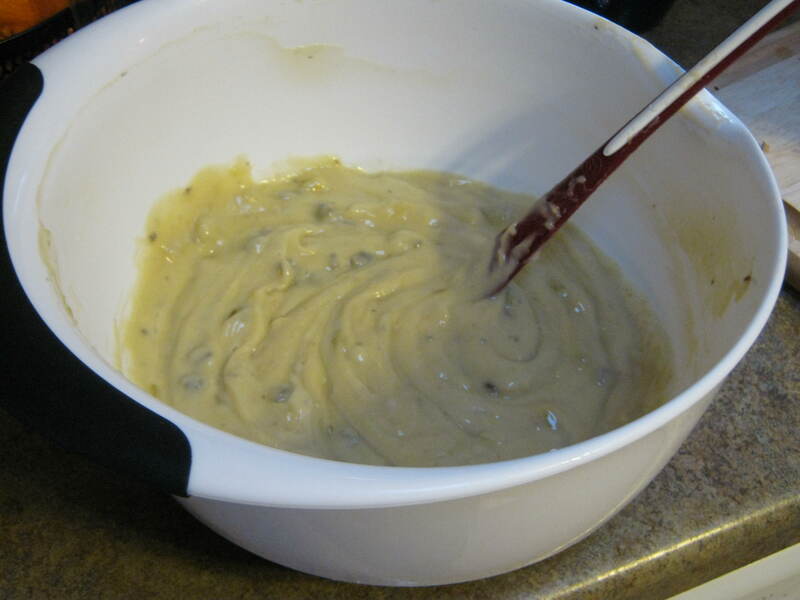 Mix contents well and pour into the baking dish. Cover tightly with foil. Bake for 1 hour or until noodles are soft. Uncover the casserole, top with shredded mozzarella cheese, and return to the oven, uncovered for 5-10 minutes until the cheese is melted. Start by browning the ground beef over medium-high heat. Add the onion, celery, and garlic. Add any of the other vegetables now you are using, too, and cook until softened, about 5 minutes. 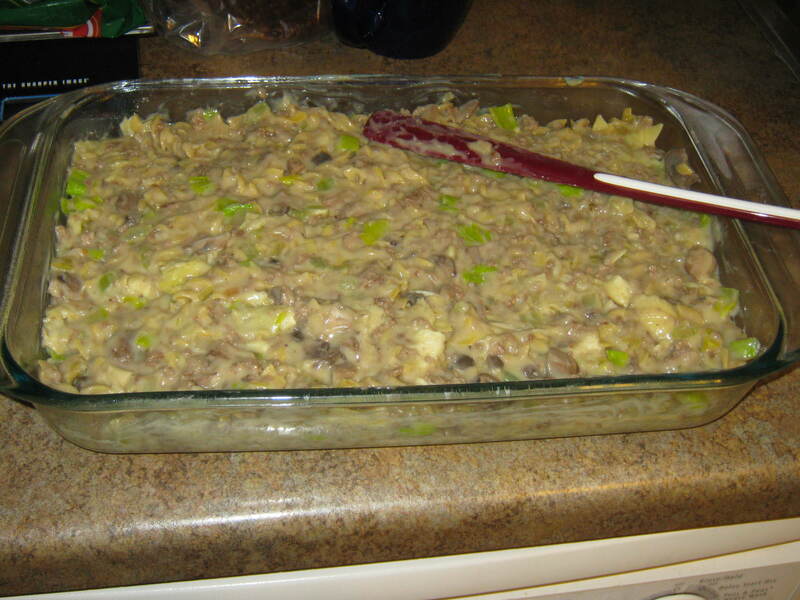 In this batch, I used leeks, mushrooms and artichokes. While the beef and veggies are cooking, mix the soups and milk together in a large bowl. 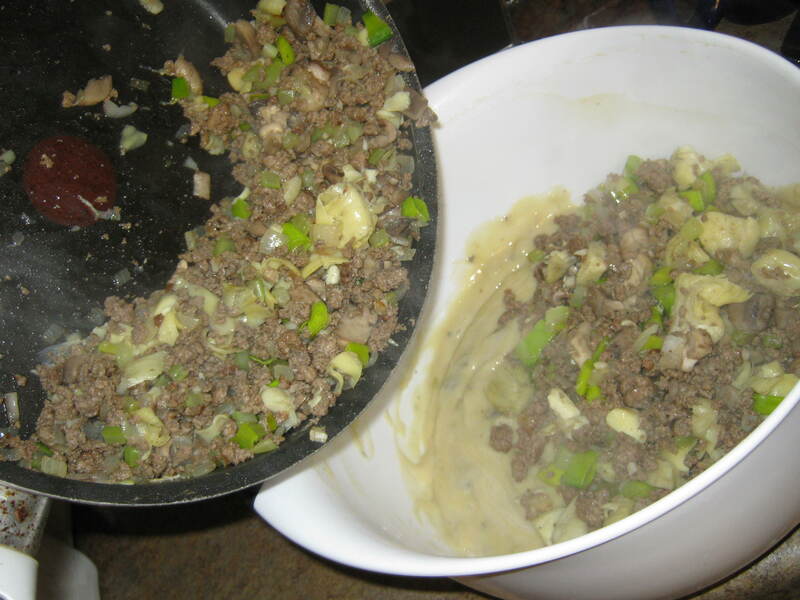 Add the ground beef mixture to the bowl and mix well. Add the uncooked egg noodles to the bowl and mix well. Spread evenly into the baking dish. Cover tightly with foil and bake for 1 hour or until noodles are soft. Remove from oven, uncover, and let stand 10 minutes or so before serving. If using the shredded mozzarella cheese, top the casserole with the cheese and return it to the oven (or place it under a broiler), uncovered, for 5-10 minutes until the cheese is melted and a little browned. Allow to stand for 10 minutes or so before serving. Enjoy! This is a really quick and easy recipe for when I am short of time. Thanks for the idea. I am like most who like to cook but sometimes it takes Cambell soup to get you through a meal.